The Colombian government will start giving monthly payments of $325 to farmers that abandon coca cultivation and cocaine production. 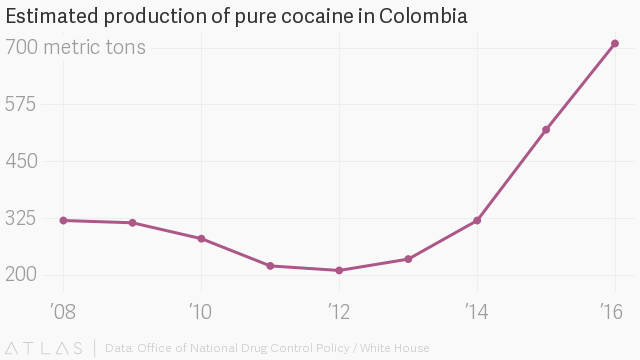 The FARC controlled more than half of the coca crops in Colombia. But it signed a peace deal with the government last year and relinquished that control. Now, former FARC members are guiding officials into the forest and helping them convince farmers to abandon coca cultivation and cocaine production. But the Colombian government faces two challenges. First, growing coca and making cocaine is more lucrative than growing cacao, black pepper, or heart of palm. 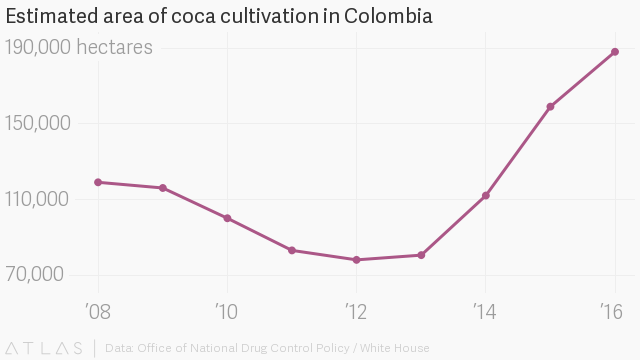 Second, coca production reached a record high last year, making the fight against those crops harder now than five years ago.